It's possible to use it with Kinetic inRide to control your health condition and productivity. Not adjustable stand and so, can be used on a smooth surface only. Kinetic Road Machine 2.0 can please all the fans of hard-riding. Being at home and having this bike trainer you can easily keep training despite the weather outside. A high reliability of the construction and its efficiency are a bonus in this type. 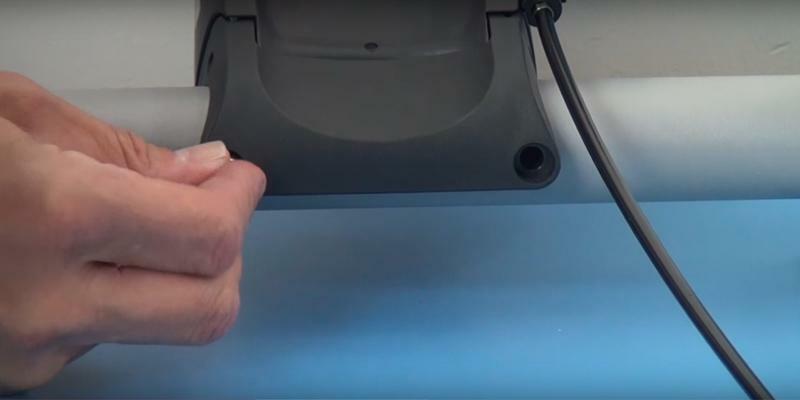 Skyliner™ front wheel support can be transformed into a comfortable handle for transportation. The initial setup will take you considerable time. 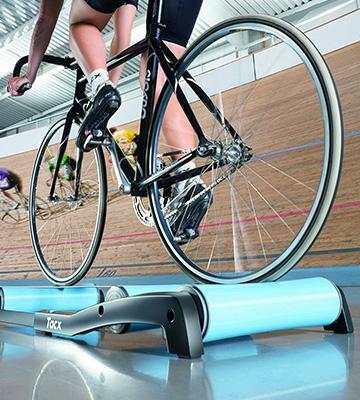 Make your workouts more efficient and interesting with Tacx Satori Smart bike trainers. Download a special app to track your progress and train virtually in any part of the world! The setup and adjustment will take you only a couple of minutes. The front wheel stand might seem lacking in quality. 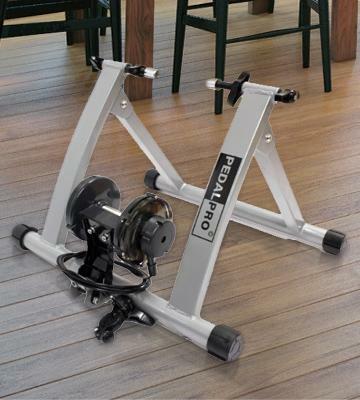 PedalPro Magnetic Bicycle Turbo Trainer is an excellent choice for both beginners and pros, as it's compatible with almost all modern bikes and has 7 variable speeds! Plus, it comes at a very nice price! The rollers have a unique conical shape to provide safe pedalling without riding off them. Too noisy because of its roller design. 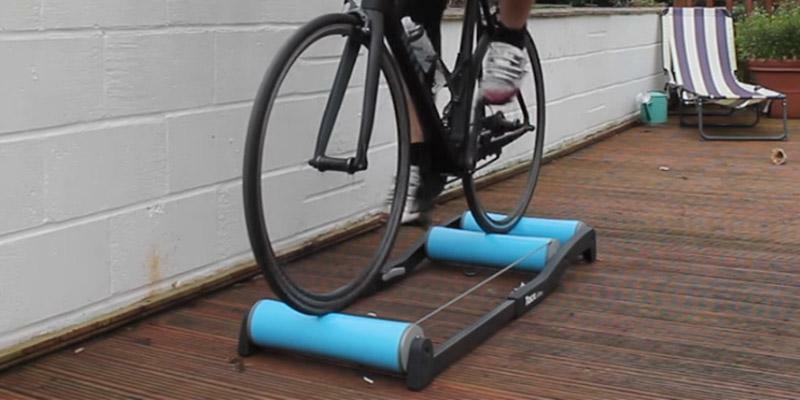 It's a top-notch roller trainer that is highly recommended by professional cyclists worldwide; it was even used as official training equipment at London 2012 Olympic Games. Improve your cycling skills and develop your balance! Magnetic roller will prevent tyre wear, thus greatly saving you money on its replacement. Not compatible with BMX bikes. With a VeloPro bike trainer at home, you will be able to improve your endurance and strengthen your body in a short time and in any weather condition! Available in 4 colours. Are you eager to succeed in sports and be the best? If you have a strong desire but the weather conditions are bad and you can't continue your training, Kinetic Road Machine 2.0 will help. This great bike trainer will make your training more effectively because of its advanced load mode. To increase the resistance you should only increase the rate of the pedal turnover. Doing this way, you'll be able to strengthen your body and develop stamina, preparing it for real workouts. 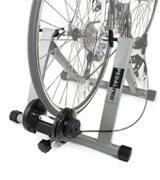 The distinguishing features of Kinetic Road Machine 2.0 are reliability and usability. You can easily and quickly set your bike on it because Kinetic by Kurt engineers have done everything for you to minimise your efforts to assemble and set it. A stable and firm construction will serve you for many years to come and guarantee absolutely quiet operation no one is going to be annoyed with. 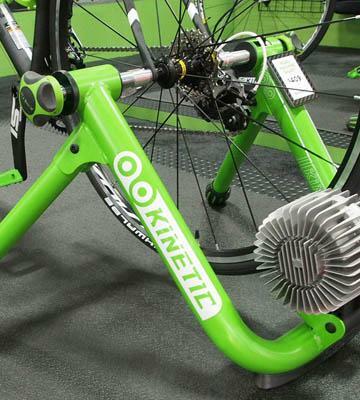 You can use Kinetic by Kurt bike trainer with a new concept Kinetic inRide Watt Meter. 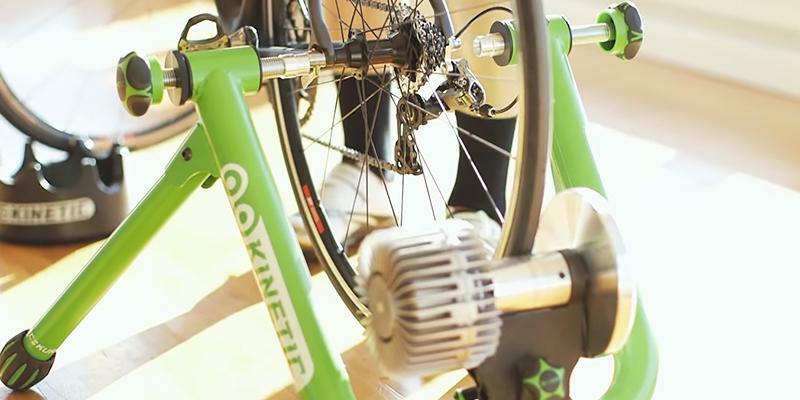 This is a complex of devices designed for effective workouts integrated into the bike. So what's Kinetic by Kurt know-how? 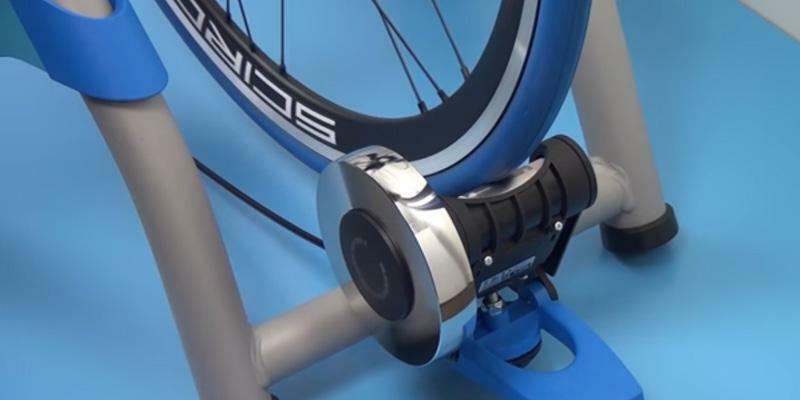 It features a special inRide Power Meter fixed on the bike trainer and a sensor attached to the chest. This system is good for all owners of iOS-driven digital gadgets. If you've got one, you'll be able to access real-life results on your body condition, blood pleasure, calories burnt, etc. right on a screen after each workout. Download Kinetic Fit and save your results for further comparing and analysing your own progress. This will help you train more effectively and achieve new goals. Most of the Olympic records are set in the afternoon. So, the most effective time for training is commonly considered to be between 4 pm and 7 pm. For the most effective workout, the tyres should maintain the correct pressure. To inflate them, you surely need a bike pump. 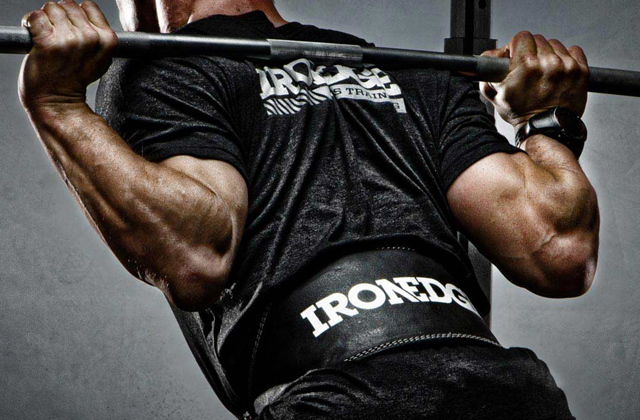 Bring your Workouts to a Whole New Level! 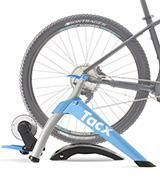 With this Bike trainer from Tacx company, your workouts can become much more comfortable and joyful! From now on, you'll be able to strengthen your body and develop stamina regardless of the weather and temperature outside. All you need to start cycling is fix your bike in the two wide-splayed legs. The resistance will be so natural and the pedal motions so smooth that after a while you’ll even forget that your bike is securely fixed. If you want to increase the resistance, you can select one of 10 levels with a convenient handlebar resistance lever, and Skyliner™ front wheel support will enable you to ride in a natural cycling posture by raising the front wheel and correcting your bike position. 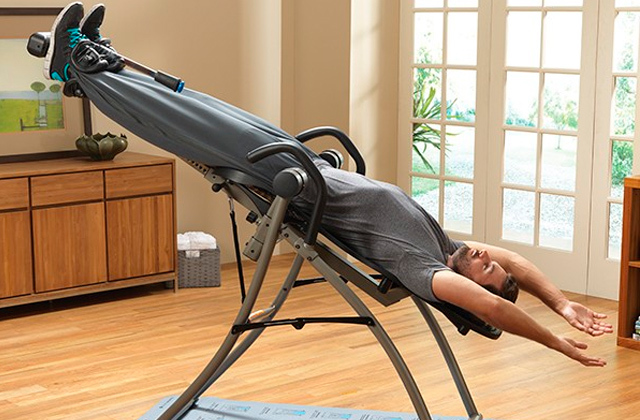 When the trainer is not in use, you can easily fold it flat and compact. 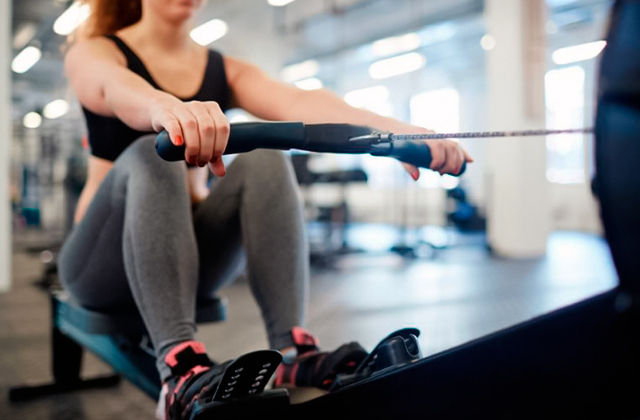 Undoubtedly, regular training will improve your endurance, however, it’s important to control and even tailor your workouts for the best possible results. Tacx Satori Smart Trainer is a really smart device as it can communicate with your smartphone or tablet as soon as you download Tacx Cycling app (Android versions 4.3+ and IOS 8.1 or later). The connection is established via Bluetooth or ANT+ technology allowing you to link with several devices simultaneously to share your workout information. An extremely useful feature for group training! After a “ride”, you can analyse your average speed, total distance, power output, and resistance. Plus, you will be able to create your own training programmes based on your heart rate, power output and resistance. Such smart indoor training will surely help you achieve the best results in real races! To secure your phone on a handlebar, get a bike phone mount. Tacx engineers have done their best to make your workouts as fascinating as possible, and that’s why Tacx Cycling app offers you Tacx Films, a virtual system that reproduces actual real-world tracks and roads with stunning views. Now you can discover the world around without even leaving home! A simplicity of use and easy setup are the priority for many customers, and if it sounds like you, PedalPro Magnetic Bicycle Turbo Trainer is exactly what you need! It comes completely made-up, meaning no more wasting hours and hours on a tricky assembly. The installation of your bike is almost effortless and takes next to no time at all - first, replace the standard quick-release skewer on your bike with the one that comes in the kit, then adjust the magnetic resistor bar, and finally install a stand under the front wheel. Everything is ready! 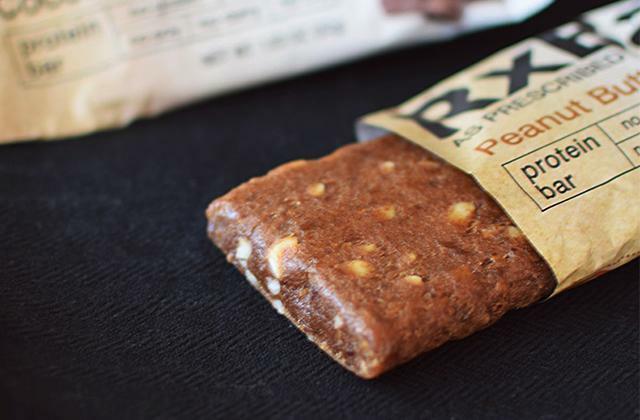 You can begin exercising within several minutes after opening the box! You will definitely fancy the ability to switch between 7 possible speeds! Set the lowest speed and enjoy riding downhills or the highest to experience uphill riding. 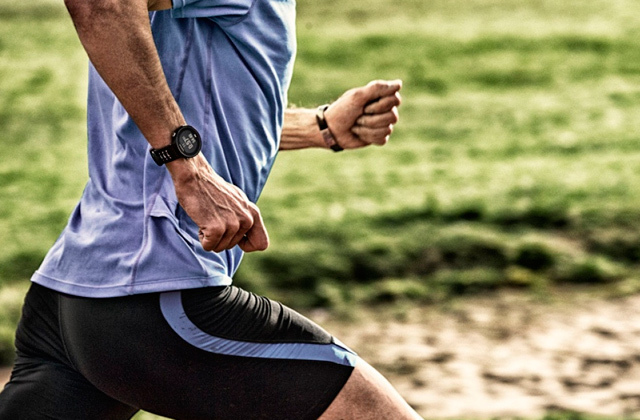 We advise you to always start your training with a low speed for warming-up, and then gradually move to higher ones. In such way, you can build leg muscles, improve stamina, and reduce the risk of sprains. Also, do not forget to breathe properly to maximise your riding potential. The great news is that PedalPro trainer comes with a remote for adjusting resistance; it can be attached to your bike handlebar. PedalPro trainer is designed to be compatible with a variety of bicycles, including road and even mountain bikes with fairly wide tyres. Tyres within 26-28 inches will fit onto this trainer just fine, including 700cc size ones that are gaining popularity today among owners of different bicycles, especially hybrids. 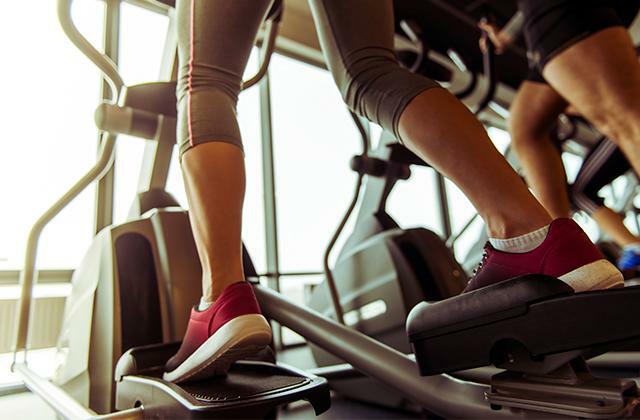 Please note that long workouts may lead to wear and abrasion of tyres, so if you exercise several times a week, try to use smooth tyres or your old tyres with worn tread and save your new tyres for outdoors exercises. 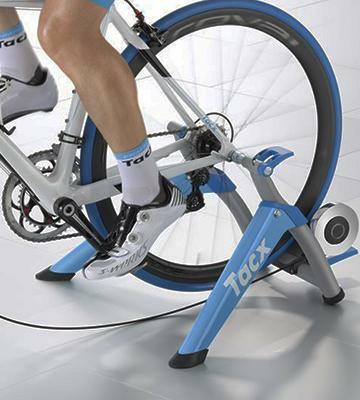 Tacx T1000 Antares Trainer stands out from the majority of today's models by its unique design that allows both wheels to rotate. You can feel like you actually ride a track, not just a trainer set in your room. Three heavy-duty tapered rollers are attached to two steel bars to create the impression you’re on the road. The rollers have a unique conical shape to provide easy and safe pedalling, so it’s just impossible to ride off them. For the utmost convenience, the manufacturer added another great feature, namely the possibility to adjust the distance between the rollers, which makes this model compatible with virtually all types of bicycles, including hybrid ones. The trainer can be folded up to incredibly compact dimensions (80 cm x 47 cm x 13.5 cm) for a comfortable storage and transportation. The only drawback is that this bike trainer might seem noisy at first, but we are sure that after 2-3 riding sessions, you’ll get used to its operation. Tacx Antares has proven to be an effective trainer and has received a lot of positive reviews from professional athletes. Moreover, it was an official bike trainer at London 2012 Olympic Games, which reinforces that it's a premium product. Since the trainer doesn’t "lock" the bike, in addition to the improvement of endurance and strengthening of the muscular system, you can work out the correct pedalling rhythm and technique as well as improve coordination and reinforce your sense of balance necessary for long-distance races. To comfortably deliver your bike to the starting point of a race, get a bike rack. 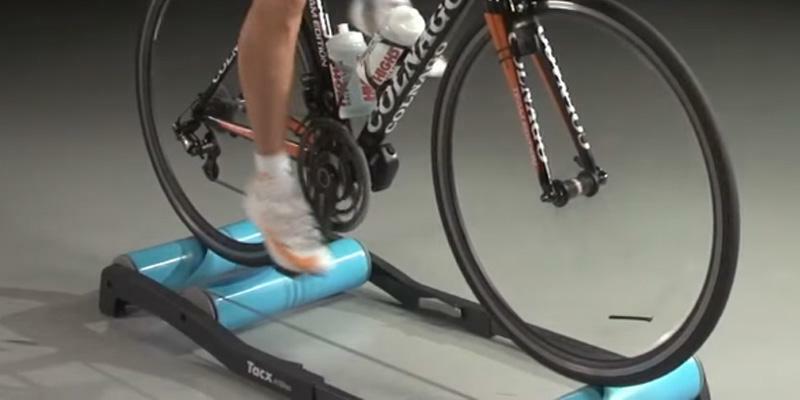 At first, people might find it a bit tricky to start pedalling on the roller trainer, since they think that sudden start can push the bike off the rollers. To prevent this, the manufacturer has equipped Tacx T1000 Antares Trainer with conical rollers that will stabilise your bike in the middle of the rollers while you’re riding! Here are some useful tips on how to start pedalling. Place a low chair nearby, and try to sit on your bike, leaning on the chair. 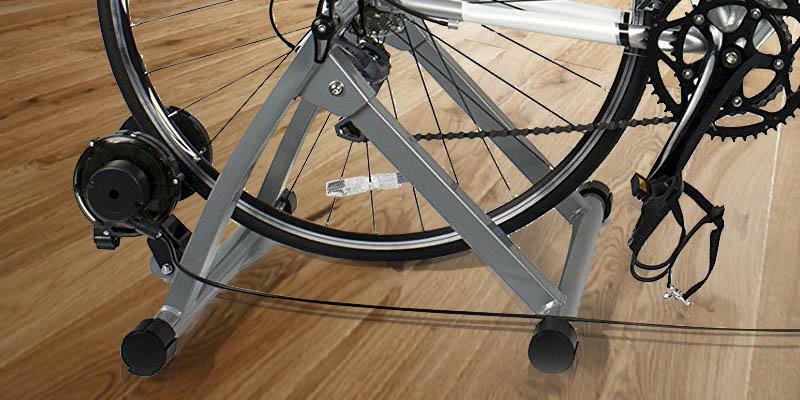 At first, you might need additional support to keep balance, so it's better to place the bike trainer near the wall. Begin pedalling smoothly, and then gradually speed up. Within 10-15 minutes of training, you will get over the fear of riding and become more confident! 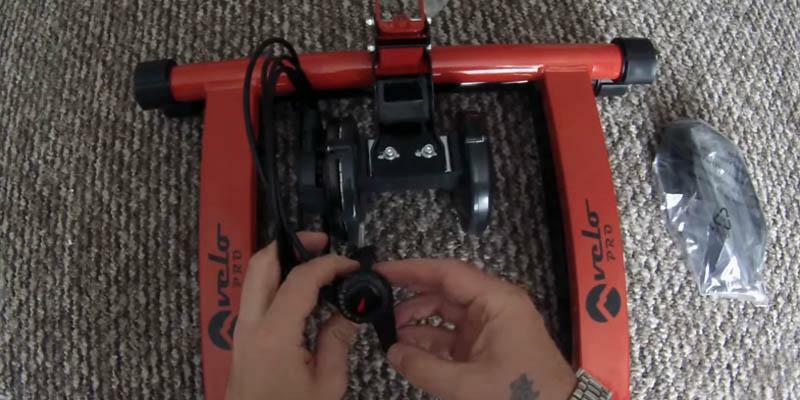 We would like to present you another magnetic bike trainer from Velo Pro company! Its setup will take you minimum time and effort as it comes already assembled. And to adjust the trainer to your bike, you’ll just need to replace your standard quick release with the one that comes in a kit. 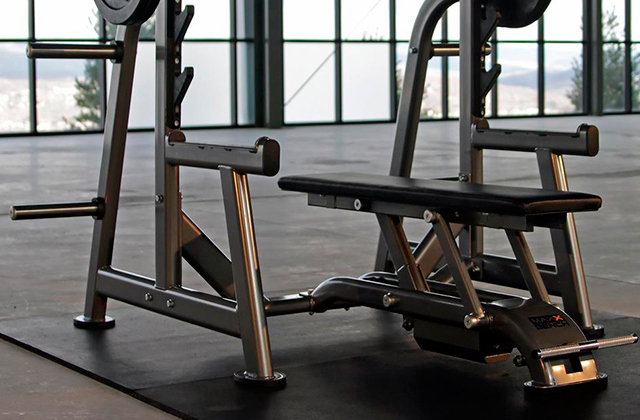 At 5 kg only, the trainer is made of heavy-duty steel and aluminium, thus it can withstand loads of up to 120 kg. Also, we would like to point out that it’s equipped with rubberized non-slip feet to reduce the risk of sliding, thereby preventing the scratches on your floor. Of course, if you like taking long trips, you probably know how quickly the tyres become worn out. Most modern trainers also negatively affect tyres, because bike rear wheel is rotating in direct contact with the magnetic element. However, this trainer boasts the accurately engineered roller to prevent tyre wear, thus saving a good part of your money that would otherwise be spent on the replacement. As for the front wheel, it can be reliably fixed with a stability block supplied in the kit. For the best results, it’s important to track your progress, and here a bike computer will come in handy! It can display speed, distance, and even the number of calories burned. In addition, it’ll notify you when it’s time to check up consumable parts. Tue - 30-minute ride at the 2nd or 3rd speed. A low-impact cardio workout, during which you can easily carry on a conversation and breath correctly. Thu - the workout similar to Tuesday’s. With every next week add 5-10 minutes more to every workout. During the fifth and sixth weeks, periodically switch to higher speeds for 5 minutes, thereby simulating uphill riding. If you follow these rules, at the end of the tenth week, you’ll be able to ride for 2.5-3 hours at 3rd-4th speeds, which equals to a distance of 90-100 kilometres. If you enjoy cycling or just want to keep fit in any weather, season and temperature outside, such device as a bike trainer is for you. 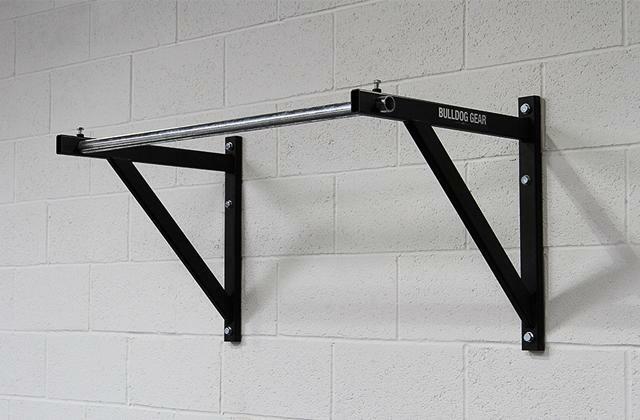 Having got one at hand, you can mount your own bike on it and train at home. 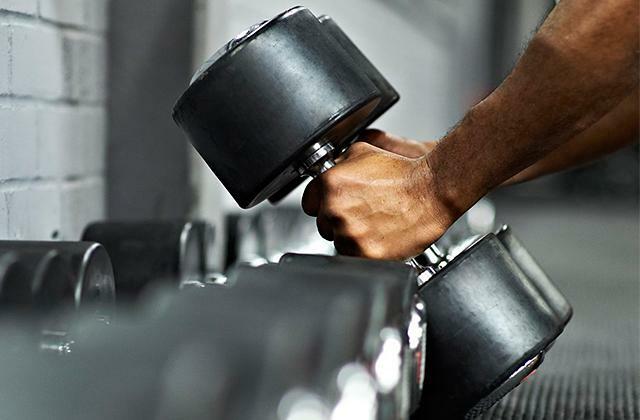 You don't need to spend money on gym tickets, nor limit yourself in time. The only thing you'd need for effective workouts is the right place for the installation of a bike trainer and mere desire to train. Bike seats are an important part of the cyclist comfort, too. Get one from our selection of the best bike seats available and never have a feel of discomfort during low-intensity and active training. For a real bike riding experience, you may want to get a decent quality bicycle choosing between best bikes from our review of electric bikes. 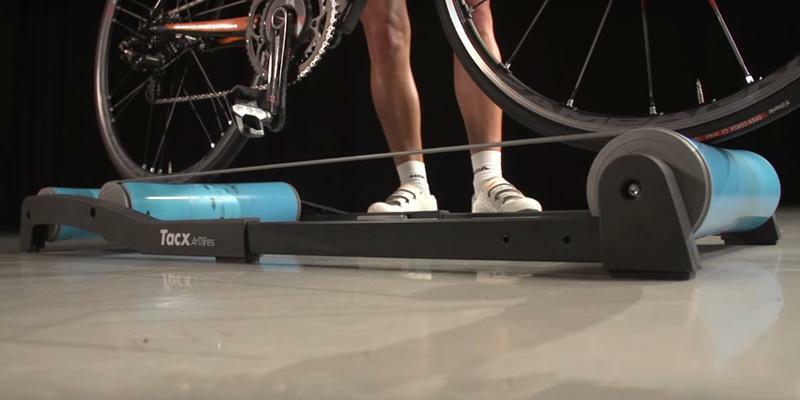 There are two types of bike trainers to choose from - rollers and trainers. Each type has its own advantages. 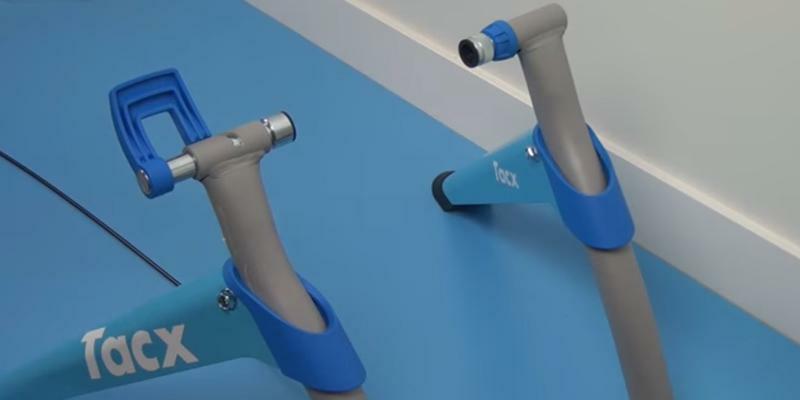 The roller is a frame with three rollers on which you set a bike. It’s best used for simulating a ride on a straight and smooth surface, allowing you to develop balance. 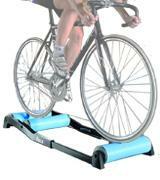 Although, roller bike trainers work for balance development even better and help you improve your skills. The only drawback of roller bike trainers is that to change resistance you'd need to adjust a bike gear shift manually. The trainer is a more compact solution but with a wider set of settings and stability performance. 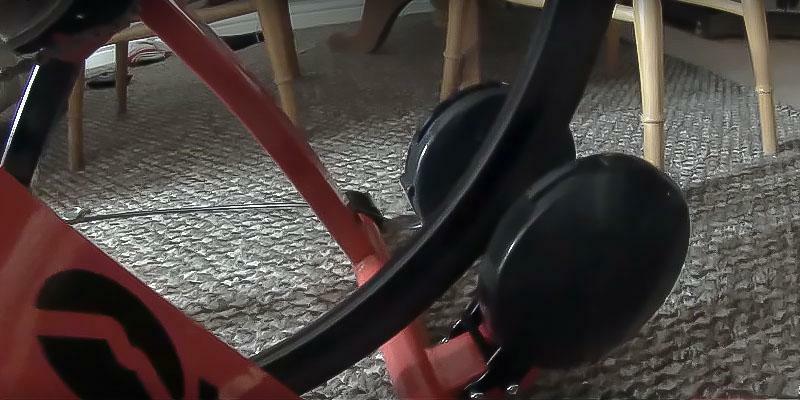 It also looks simple - a basic stand where the rear wheel is mounted on. If you choose to use this one, use it with a completely bald tyre in order to reduce the friction load from the rear wheel. When you decide on the type of the trainer, pay attention to the roller shape. There are two of them: straight and tapered which to a different extent influence the bike stability. Besides the shape, they are also classified according to the principle of operation and so, divided into air, magnetic and fluid. The air trainer is the cheapest. The rotating blade of the flywheel produces air resistance of the simulator. The faster you cycle the more resistance you feel. It's also characterised by a comparatively high noise level. Compared to air bike trainers, magnetic bikes are much quieter. The resistance is gained by an electromagnet. The level of resistance can be linear in some simple models and variable in more expensive trainers, providing a wider choice of workouts. The fluid trainers are the quietest and most expensive. They have a progressive resistance, so the faster you cycle, the higher it will be. For this reason, they are suited for interval training. Synthetic silicone oils used in the fluid bike trainers are resistant to heat so that the viscosity of the fluid always remains constant. Comparing the tree types of trainers, if you'd like to get a real feel of a ride, you should give preference to the fluid one. Some bike trainers can have good features or add-ons that enhance their attractiveness in the eyes of customers. For example, there are bike trainers with mobile apps that can track your workout results and your body condition during the exercise. The material of the bike trainers is a very important feature that adds to its usability. Consider the size of a bike trainer as well to see how much space you would need to store it at home when the training is over. For home use, a trainer should also be easy to assemble and disassemble so that training on it doesn't turn out to be a chore. 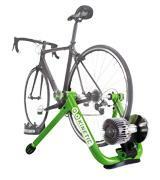 Joe Lindsey How to Choose an Indoor Bike Trainer, Bicycling. December 7, 2015. 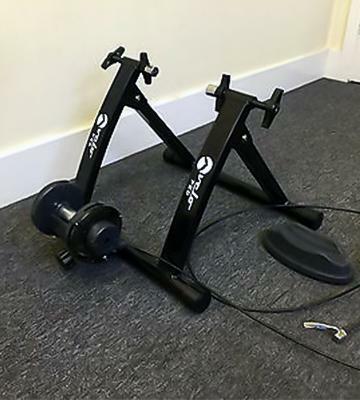 Ryan Wood How to Choose an Indoor Bike Trainer, Active. 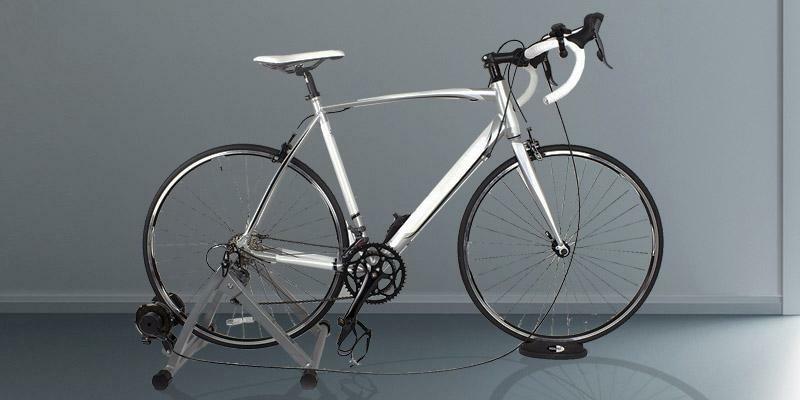 Steve Tischler Indoor Bike Trainers: How to Choose, REI. March 3, 2015. How to Choose a Bike Trainer, Eastern Mountain Sports. 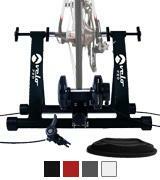 Turbo trainer buying guide, Wiggle. Meg Campbell Fluid Vs. Magnetic Bike Trainers, Livestrong. August 19, 2013. Losing Weight Cycling: Everything Yoy Need To Know, Total Women's Cycling. July 14, 2014. Bicycle Trainer, Wikipedia. August 27, 2016.